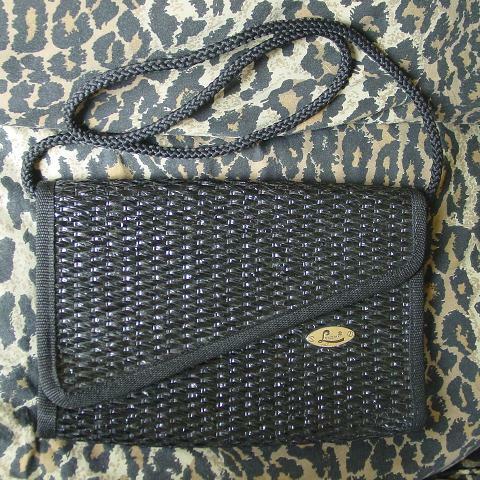 This vintage black straw purse was made in Italy by Loredana. It has an angled envelope styling with a black fabric lining and an open interior pocket. 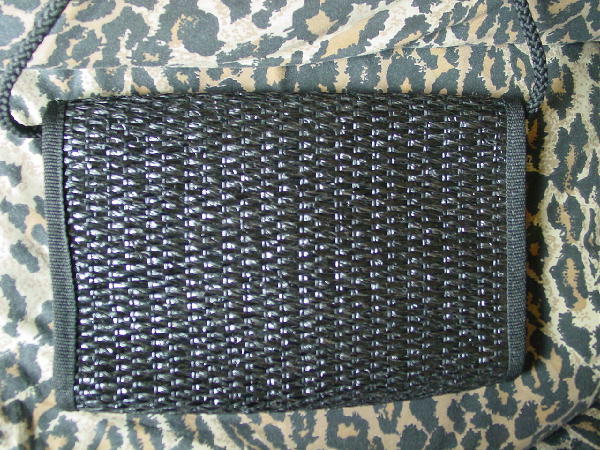 It has a one snap closure, a wide black cord edging, and a black braided 45" by 1/4" shoulder strap. The strap can be tucked inside and the purse carried as a clutch. There is an elongated oval metal logo tag on the front. It's from a stylist's inventory, and was worn in a magazine photo shoot.